During the Nineties while some boys idolised sports teams or rock bands, I idolised a games development team known as Sensible Software. 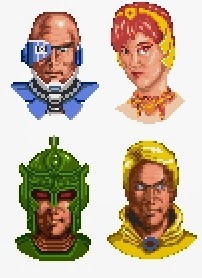 I loved their game ‘Cannon Fodder’ and somehow even loved ‘Sensible Soccer’ despite not really liking football very much. I loved the British humour they injected into the games and most of all I loved their art style – predominantly involving little guys no taller than 8 pixels high. Company director Jon Hare, knew what people wanted from his games "little men. Little men work". He also knew that many, like me, saw his company as being excitingly different in an industry defined by genres. "I think there's massive room for self expression,” he said to Total! magazine. “I don't think there's enough personality in games these days, it's been strangled by market people whose aims are totally commercial". It was a belief that turned Sensible Software games into a recognisable brand, and when they were making a game the industry (in the UK at least) paid attention. "Sensible Software have become the most important programming team in Europe”, Total! wrote in 1993. 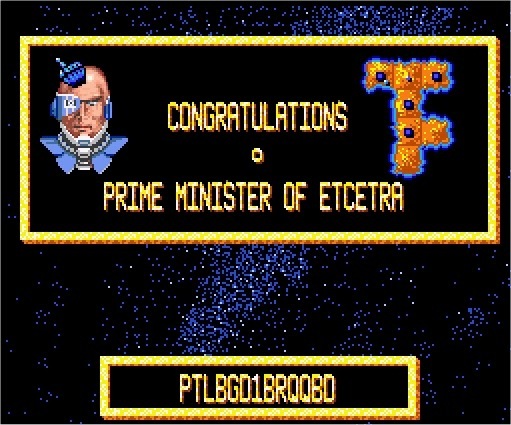 With a reputation built on the success of their Amiga games, several Sensible games found their way onto the consoles, with the original development team unusually being significantly involved in their creation. 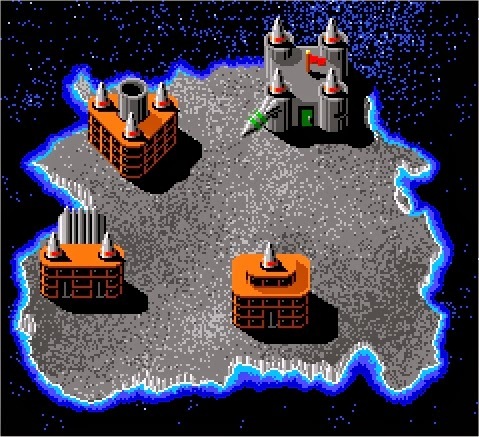 ‘Mega lo Mania’ was eventually published by Imagineer in 1993, two years after the original Amiga release. Created by an all Japanese team but over seen by Jon Hare, it was the only Sensible Software game to be released in Japan. 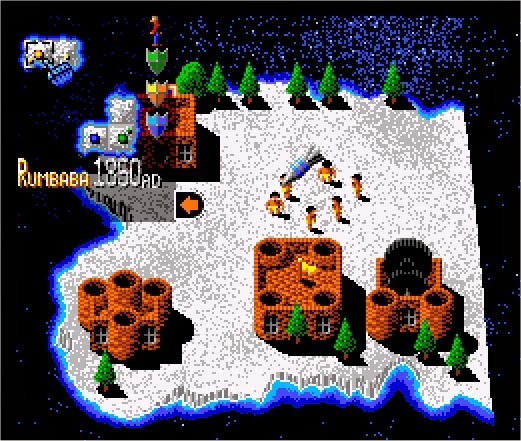 Even though it was actually the first to use the “little men” graphic style, which went on to lead to the creation of its more successful visually similar brothers (‘Cannon Fodder’ and ‘Sensible Soccer’) of the three Super Nintendo Sensible games, ‘Mega lo Mania’ is by far the least well known. The object of the game is to conquer 28 islands, divided into nine Epochs that span the evolution of mankind. It’s a game "using the components of history in a jokey quirky way rather than being a history lesson", to quote Jon. 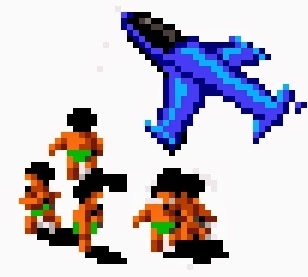 By taking on the role of one of four Gods, you instruct your tiny pixel beings to do a number of different tasks such as create buildings, design weapons, mine for elements or form an army. The ultimate aim is to defeat all the other Gods by destroying enemy towers and people. There’s a vague narrative set up at the start of the game, told in text form, but essentially this is a real time strategy war game; a pre-cursor to the likes of ‘Warcraft’, ‘Command & Conquer’ and ‘Dune II’. Your first decision, after picking which God to play as is the selection of an island to do war on. Helpful onscreen text informs you that you have to select how many men from a limited pool you wish to use and that you need to pick a starting square. Beyond this point, some genius has decided that Super Nintendo players need no further assistance and the tutorial for this game quickly evaporates. The main level screen is imposing. There’s a list of abstract words, a wooden hut and some adorable Sensible “little men” milling around. With no hand holding, no step by step instructions, you’re simply expected to learn via trial and error. I wanted to click on what I thought were my warriors, in a way that mirrored ‘Cannon Fodder’ but my pointer is limited to just the icons on the side of the screen. With few other things to do, I scan down my list of words. I’ve no idea what ‘invent’ or ‘mine’ mean in this context, or why ‘defend’ and ‘produce’ are greyed out. I do understand ‘attack’ though and given that the game is meant to be a real time strategy game, where you are supposed to take on enemies I select that. Another option pops up, I have no idea what the icons mean so I blindly click and hope for the best. Eventually my men teleport to another square on the map, but they don’t attack the enemy base right in front of them they just stroll about. I would tell them to do so, but I have no idea how. Eventually from out of the enemies hut an army appear. They have sticks, and throw them at my helpless men. What follows is a massacre that rivals the most brutal scenes in ‘Game of Thrones’. My army is defeated, all except one man in my base who somehow got left behind and spared. Problem is I can’t seem to do anything with this potential hero. He doesn’t seem to be allowed to attack. He can’t ‘invent’ whatever that is and he can’t ‘defend’. All I can do is listen to the music, which started off fun and quirky but after repeating every 40 seconds only serves to ramp up my irritation. I wish the war would end but it seems my enemy has no desire to attack. I watch as their castle gets bigger and bigger, until eventually they launch a full scale assault on my base. 20 minutes of waiting, were rendered utterly pointless in 20 seconds. This was war, but it certainly had often been much more fun. I’m told I’m a failure, but I’ve no idea what I did wrong. Unlike the Amiga and Mega Drive versions, where there is at least a few words to explain what each icon does the Snes game is almost impenetrable for a new player. It’s far too confusing with no effort made to explain any of the main mechanics. Jon recalls later in interview that though the publisher encouraged him to conduct play testing but he probably just moaned about it "what do these kids know anyway? " Instead what they did was a 'soak test', where the AI allowed all the gods to fight amongst themselves on a map, with the game essentially play testing itself. This may make a perfectly bug free game, but it doesn’t make it an approachable one. The artificial AI can’t express that it has no idea how to even play the game, the AI never feels a disappointment for not even knowing how to give his army better weapons. Were I not such a huge fan of other Sensible Software games, I have no doubt this awful experience would have been my only ‘Mega Lo Mania’ foray. But because, I love Sensible Software I give it another chance. I study the manual, which much like the introduction (and this blog at times) is dense, contradictory, filled with grammatical errors and laden with puns. It does explain the basics though, and suddenly all those mysterious words on the side of the screen make some sense. I go back to the game and for a few hours I’m happy. I love the scope of the game, allowing both aggressive “attack as soon as possible” game play yet also more cautious “mass up an unstoppable army” approach. 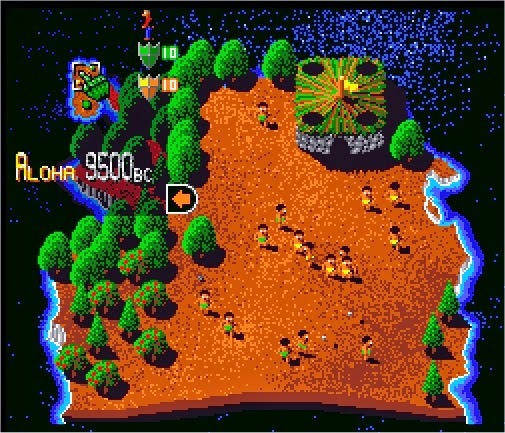 The ability to form and break alliances makes the game unpredictable and exciting, with each island feeling very different to play. 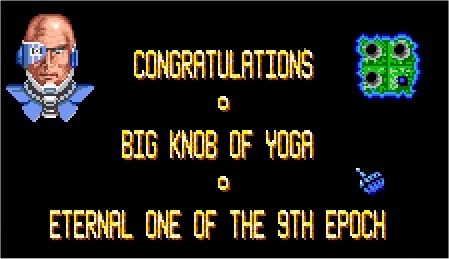 The sprites are brilliant, and the synthesised speech; so novel at the time, give a uniquely British humour to the game. I love the camp voice of Oberon, the king of the fairies as much as I adore Caesar with his ridiculously stereotyped Italian quips. But, this enjoyment is tragically short lived. By the fourth and fifth epochs, which represent the medieval age, things change dramatically. While I have access to better weapons, to mirror how man has evolved, sadly, I also have to work more to obtain them. It’s suddenly no longer sufficient to just invent something like the rock or stick weapons and have your men automatically gather nearby materials to make them. Now in order to construct something more lethal, like a slingshot or a longbow, evidently I have to not only invent the weapon, I also have to check the ingredients needed to make it in bulk. Then I’m required to make some of my men build a mine so that they can plunder a nearby quarry. On top of this it’s a good idea to produce some shields, which allow me to repair any damaged buildings, all the while maintaining enough unused men in reserve to reproduce and keep the forces comparable to the growing enemies. Like the start of the game, none of this is explained while you play. Learning via making mistakes is frustrating, time consuming and baffling. After an hour playing same level over and over finding different ways to fail I am once again willing to quit on the game. There suddenly feels like too much to micromanage and the battering of too many ideas too quickly has led to a game being one I’m not enjoying playing. I’ve studied the manual, I should have a basic understanding of game mechanics, but I still don't even know how to recall troops. I controlled 4 of the 6 map squares. Across them were over 300 troops armed with researched weapons. Did I know how to pool them to attack the last remaining base? No. Could I send troops from my own bases? No, only two men were available. I know what I want to do with my army, but with just so many options and things to consider I have no idea how to actually do it in the time I have before the opponent obliterates me. I’m a third of the way into a game, and still don’t understand it and it’s a fault of the game being unwilling to offer any instruction. But because, I love sensible Software I watch ‘Lets Plays’ online and beg for advice on Twitter. I seek help from fellow Sensible fans, who are willing to answer the multitude of question I have. Never before have I had to put so much research into a game, simply to be able to do what I want to do. I generally believe that a game should not be obtuse, it should be welcoming. Complexity and a variety is all well and good, but things need to be explained. How else will a player have any hope of knowing what to do? I return to the game for a second time and armed with further understanding I once again enjoy playing. I progress through the stages, developing my own strategies and what was once so bewildering is now intuitive and second nature. I begin to enjoy that though a stage can take over an hour to play, it can be shockingly fast paced (especially if you accidentally leave the time controls set to Very Fast as I found myself doing). The other gods I am at war with clearly behave differently from one and other but there are no gaping holes in the artificial intelligence, the AI remains a challenging enough opponent. Of course, it’s devastating when you have invested an hour into building an army, only for it to be destroyed. I far too frequently put the controller down, swearing that the game is unfair and that the opponent is unbeatable. But come the next day, I would find the lure of the game irresistible and often find a very different tactic yields victory. 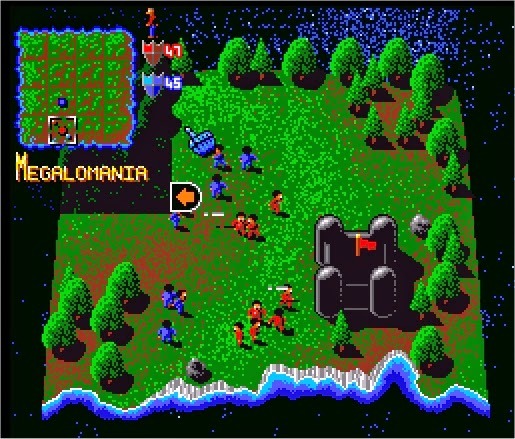 For me, (once you have grasped all the complexities), what makes ‘Mega Lo Mania’ so enjoyable is the desire to see the new tech and the satisfaction of crushing hapless enemy armies with your over powered men. And destruction doesn’t come any more absolute than the 1980’s era and the dawn of Nuclear War. "It's quite interesting that as you get closer to the nuclear era it becomes a race to get to the first nuclear weapon ", remarked Jon Hare in the excellent Sensible Biography. Much like ‘Cannon Fodder’, (though much less explicit) there is the social point that war is a senseless waste of life. ‘Mega Lo Mania’ was even called 'My Little Warhead' until a few months prior to release. Jon is in agreement that despite being a war simulation, the game is actually essentially pacifistic. "You spend the whole game building something only to destroy it all in a moment. Nuclear weapons are a lot more destructive than men throwing rocks." The similarities with ‘CannonFodder’ also extend to humour being used to soften the abrasive edge of social satire. Nothing quite glosses over the idea that hundreds of men have been reduced to completely unusable smoking radioactive craters than a voice declaring “we’ve nuked them”. It’s a rather startling metaphor that oddly is never referenced when people argue that games are not just “war simulators”. It’s a reflection of ‘Mega Lo Mania’s resonance, as while generally well-received it didn’t have anywhere near the impact that it should have, and not just for its social comment. In 1991 when ‘Mega Lo Mania’ was first released, it was revolutionary in what it was trying to do. A war simulation game, five years before ‘Command & Conquer’ brought the RTS genre into the mainstream. 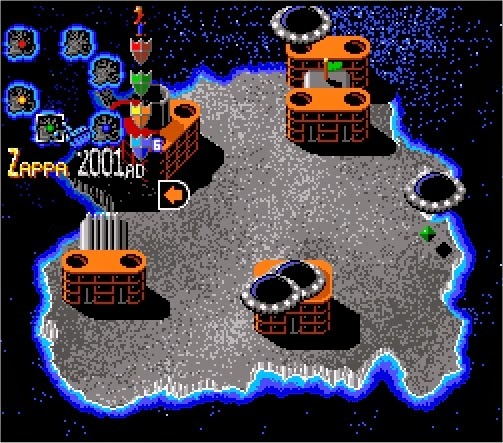 However, it’d probably be a mistake to characterise ‘Mega lo Mania’ as a true RTS. Battles are decided by weight of numbers and the weapons each side has rather than any clever strategy. The strategic element involves the man-management and territorial control aspects of the game. Despite the fact that the now iconic Sensible art style originated in ‘Mega Lo Mania’, its distinct visual style was only a quirky way to best illustrate what's going on. Considering you have no control over them, you quickly realise that in actual fact the "little men" that became so famous are not even needed at all. "With 'Mega lo Mania' it wasn't the graphics we focused on first. We started with just the control panel at the side, no world to look at. You'd click on the numbers to change them and play the game that way” If Jon is quick to dismiss the need for his famous “little men”, he is positively spritely when he acknowledges another key failing of the game, the titular last level when everything falls apart. “I have to admit that ‘Mega lo Mania’ isn’t a particularly well balanced game, that’s one of it’s weaknesses” Jon Hare confess to Gary Penn, “we never tested it enough”. The final epoch has just one square island called ‘Mega-Lo-Mania’. The rules here differ in that only two actions are available; reproducing and fighting. 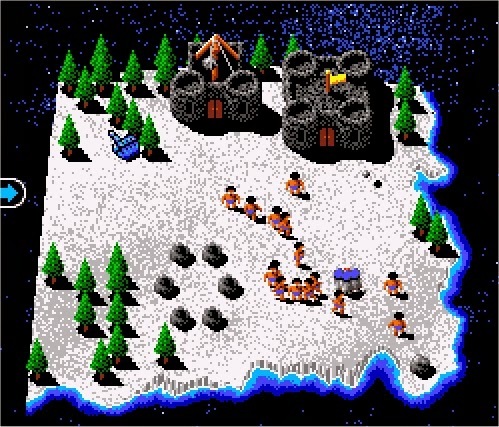 The number of men available to the player on this island depends on the number of men that have been reserved in previous epochs, as Jon puts it “the idea is that all your remaining men get frozen cryogenically for the final level – and that’s how many you have to win the entire game”. Of course, in one final moment of aggravating frustration, none of this is explained within the game. Imagine how quickly my enthusiasm vanished when, after 40 hours of playing, I was told that I had not suitably prepared for the final battle and therefore had to go back to the very start of the game. 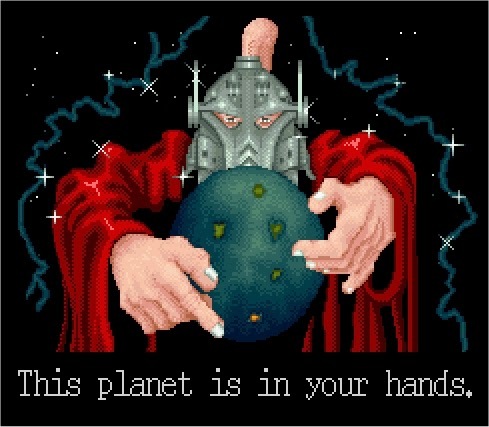 As with so much in ‘Mega lo Mania’ (or at least the Snes version of it) the only way to know what of earth you are expected to do is to research it online. The game’s final stage is a reminder of just how impenetrable and repellent a game it can be. Even once you’ve finally been able to figure out how to unlock the big final epic battle it is let down ever so slightly by the fact that it’s actually awful. All the complex elements that make up the other 25 battles, all the ideas that have taken so longer and so much effort to understand, are now stripped away. The very last level of the game should really have been the first; all you have to do is throw hordes of soldiers at the enemy until they die. It seems bizarre that the final stage is so simple, but the first stage is so complex. The stage ‘Mega lo Mania’ is proof that the game ‘Mega Lo Mania’ is its own worst enemy. Its greatest strength is that it’s a “quirky war game with deep mechanics” but this is also its greatest weakness. Though the game play does become second nature after dozens of hours of devoted research and play, these game play elements need to be drip fed and explained to the player far more gradually. This is particularly true of a modern player, one that is used to modern-day games with their modern-day hand holding. Coming from a time when consoles developers were endlessly replicating whatever was popular at that specific moment be it cutesy platformers or gory shooters, Amiga developers were free to do pretty much whatever they wanted. Any experiments that simply didn’t work were just never ported to the Super Nintendo and lost in time. However when something fresh was greeted with acclaim and cult following console owners too got to enjoy the end product of a risk taken. The result was brave, experimental games like ‘Mega lo Mania’; a title that echoes in games released today even if they aren’t direct descendants. Jon Hare is certainly proud of his game. "It's got the sensistyle and real character, it's funny, it's got the speech and the music, its highly innovative and easily one of my favourites". However, I’m not entirely sure I’d recommend every one play it and certainly not the Snes version where the limited onscreen help are even more scant than in other versions. I started playing this game with another blogger, playing at the same time as me. As an American she had never heard of Sensible Software, and without fan love, she quit after an hour of trying to work out how to play the first level. Never have I had to work so hard to enjoy a game, but after all the effort I was left with a game I found hugely addictive and enjoyable. If you’re only ever going to play one Sensible Software game, get a mouse and play 'Cannon Fodder'. If you intend to play two, get some friends around and play ‘Sensible Soccer’. Only if you’ve fallen in love with those should you try ‘Mega lo Mania’. A game of brilliant ideas and no explanation. After getting the chance to meetJon Hare, I felt ridiculously guilty that I hadn’t played what he considers one of his best games. Rectifying that fact was difficult when you collect Snes games, as ‘Mega lo Mania’ really didn’t sell that many copies and has become rather rare. For rare games, it’s the eBay waiting game and the hope that one day someone will ignorant put a low priced Buy It Now listing up, which is how I got my copy. The box is a little worn, there’s pen on the cartridge but for £8 I’m happy, especially as I played the game every chance I got for two weeks. I’m sure one day I’ll go back to it. As the other blogger mentioned in this piece, I decided I should comment on my experience with this game. I was playing the Japanese version of it, mostly for compare and contrast purposes with the English language version. I wanted to like Mega lo mania so much, because I had heard so many good things about Sensible Software and the screenshots I had seen of the game itself were rather compelling. Unfortunately, the game left me high and dry. It was every bit as devoid of instruction as its English language counterpart and after an hour or so, I threw in the towel, wondering what I was doing wrong. Seeing that Julian has since figured out the basics, I plan on picking Mega lo mania up again in the near future and giving it another try, given that he has proven that it isn’t as unplayable as I originally believed it to be. 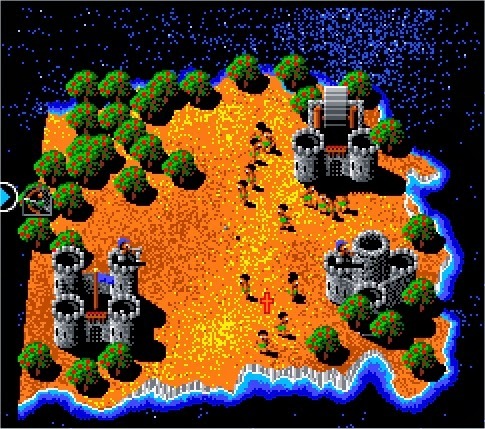 I remember playing Meglomania when I was 14 but the game was buggy so could never get past the 4th or so epoch. Been wanting to finish it for decades.